What is IP telephony? Simply stated, it is technology that sends voice communication over your data network using Internet Protocol (IP). This is in contrast to traditional phone systems where data and voice networks were totally separate. 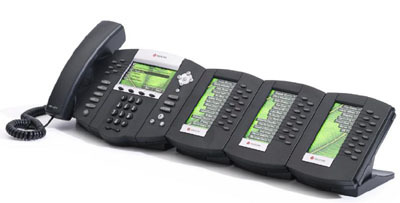 More companies of all sizes are replacing their traditional phone systems with IP telephony to reduce costs. Savings can be realized by reducing infrastructure and operating costs because IP telephony systems share a single infrastructure across multiple offices for voice and data, and these systems are easier to manage and change with the needs of the business. In addition, companies can automate administrative tasks, such as “moves, adds, and changes,” and may experience lower charges for longdistance calling and conference-call hosting. A subset of these organizations is moving beyond cost savings to realize the full potential of IP telephony by extending the capabilities of telephony to collaboration and business applications to deliver business advantages around increased productivity, streamlined business processes and increased customer satisfaction.